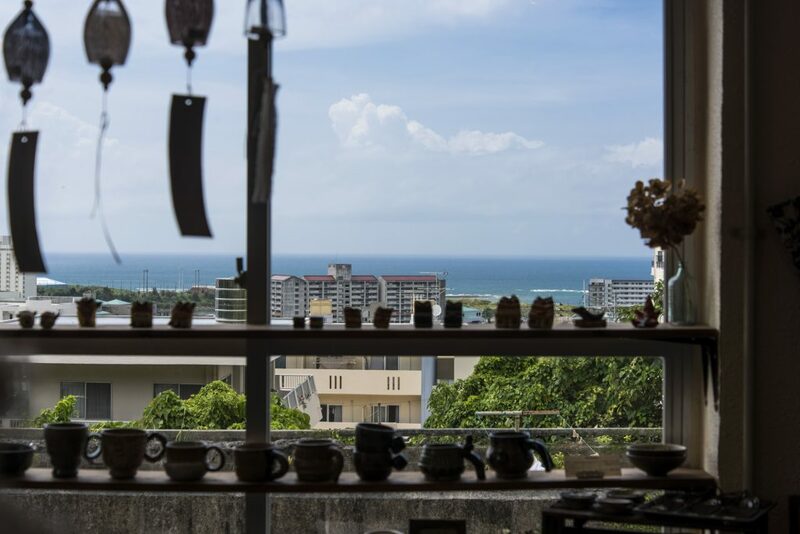 Share the post "Beautiful handicrafts from Okinawa and other parts of Japan that add a lovely touch to your everyday life Mano (Oyama, Ginowan City)"
The cozy space has wooden furniture set against white walls. It is filled with items that the owner, Akinaga, likes that he discovered in places around Okinawa and other parts of Japan. A look around the shop shows a wide assortment of tableware, such as pottery, porcelain, and glass wares. 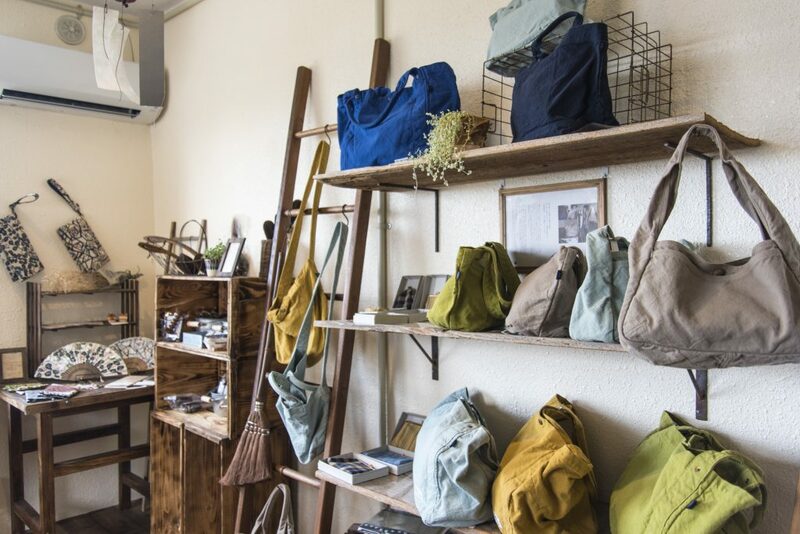 There are also fabric accessories like bags and towels, household items like scrubbing brushes and brooms, and even food products made with local Okinawan specialties, all of which can be easily blended into your home. The pieces that were crafted by artisans are all glimmering with a sense of uniqueness. When choosing items, Akinaga focuses on excellent design, simple pieces that blend easily with your daily life, and pieces that are easy to use. 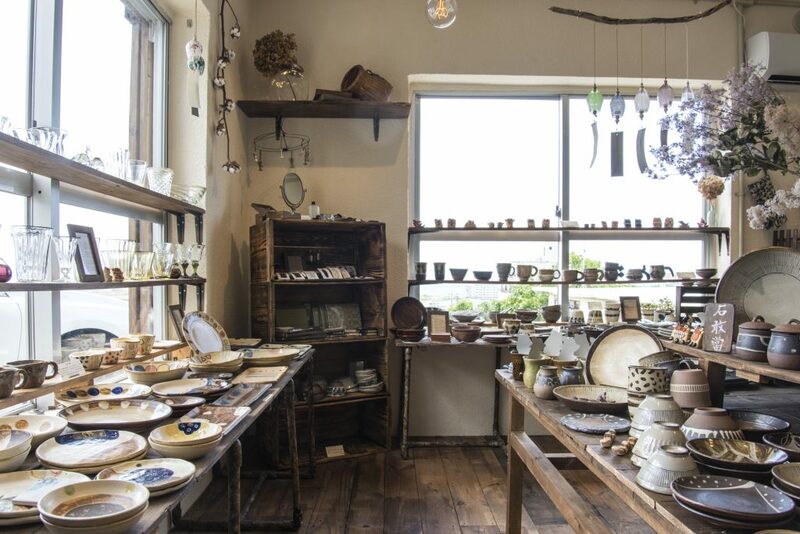 One way to enjoy a visit to this shop is to look for your favorite pieces by picking up each one on display, reflecting on how you might use it, considering how it feels in your hands, and examining the size and colors. For instance, taking a piece from the selection of pottery wares, Akinaga says that when he finds a piece he likes, he will go and visit the artisan. 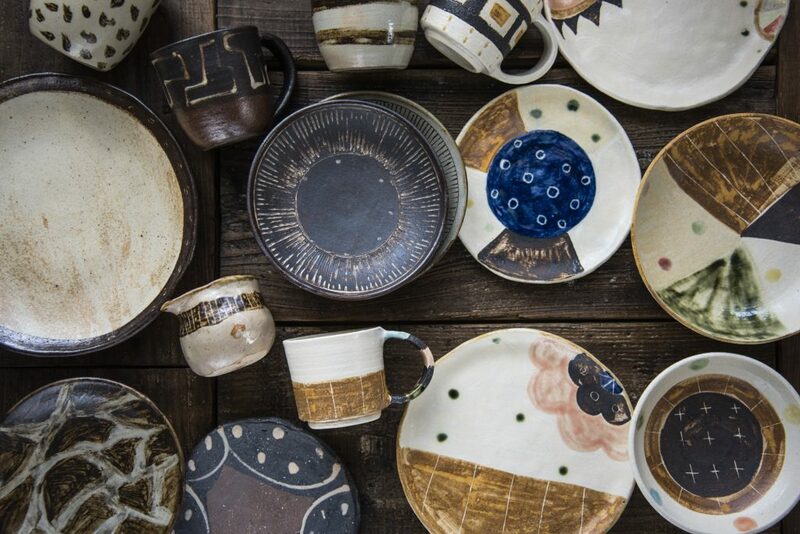 He says, "I hope that by conveying the story of the artisan and the piece to the customer who purchases it, they will feel attached to it and use it for a long time." I asked Akinaga to tell me about a few items from his collection that are particularly popular with overseas visitors.These are cute plaster Okinawan lion dog figurines with faces from the Shimajiro Studio in the Yomitan Village in Okinawa(from 1,800 yen (before tax)). 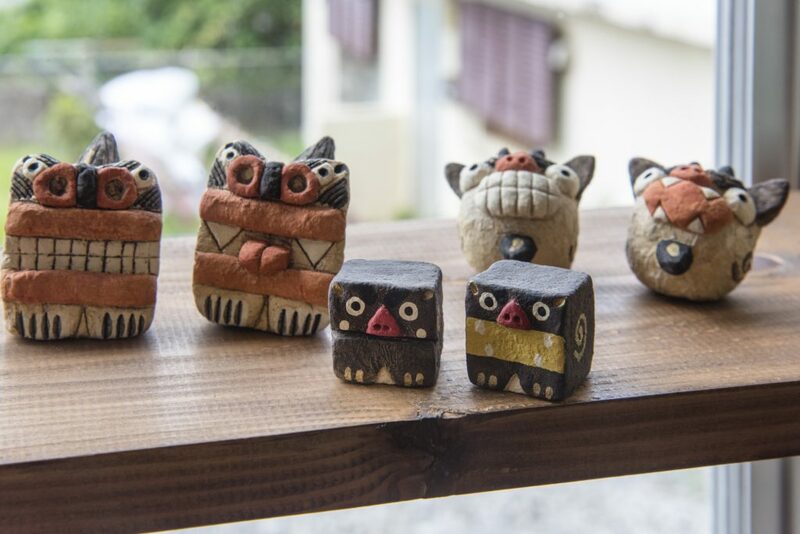 These figurines have been placed in entrances of homes and villages in Okinawa since long ago as talismans against evil, and they are popular souvenirs. The Shimajiro Studio's figurines supposedly bring you smiles and happiness. 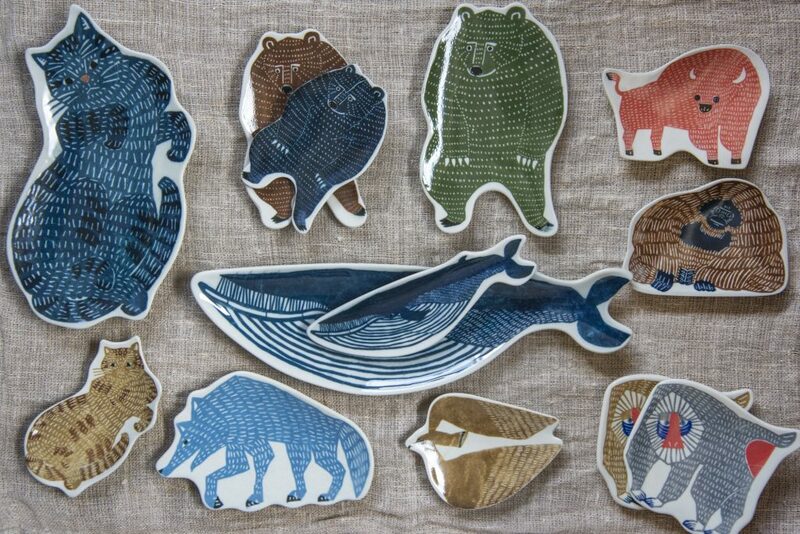 The plates are printed with the old Inbante printing technique, and each piece has a different look from the shading, blurring, and blending of the colors. There are different sizes of dishes that start at 1,000 yen (before tax). 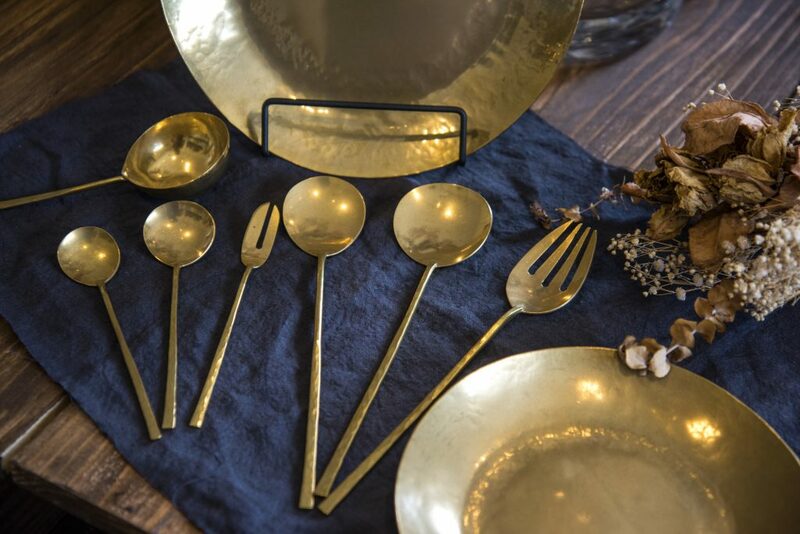 This is cutlery from the Lue brand that is produced by a brass metalworker in Okayama Prefecture (starting at 2,400 yen (before tax) for spoons and 2,600 yen (before tax) for forks). The spoons and forks that were all hammered, cut, and shaped by hand take on a more subdued hue the longer they are used. I can imagine that, if you find a piece that suits you and use it for a long time, it will take on the texture of its owner. Mano is located on a hill past a residential area off of prefectural route 521 (called the 'Pipeline').At this spot that offers a view of the landscape of Ginowan City from above and of the see off in the distance, time passes slowly in the leisurely pace that is distinctive of Okinawa.Slowly choose the piece you like best that is just for you, and take it back home with you as a memory of your trip.It will no doubt add a small special spark to your everyday life.